Secretariat is the greatest horse who ever lived. What an earnest and determined guy he was! 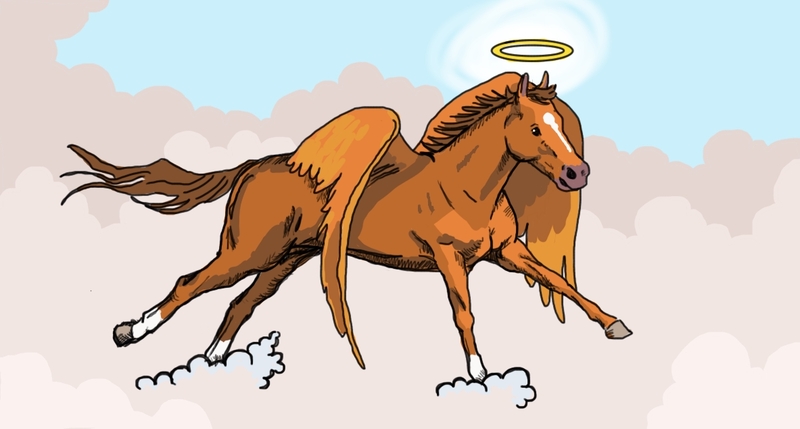 Big Red, as he was sometimes known, was just about the fastest horse in the known universe (or wherever horses are!) and set records in 1973 that still stand today. When Secretariat was born in 1970, just after midnight on March 30, nobody knew that little horse would be a household name. He became so famous beyond the racetrack that he was on the covers of Time and Newsweek. Not bad for an equine athlete! He was given to Penny Chenery after birth as the result of a coin toss agreement between the stud owner and the owner of the gentle mother of Big Red. His name was chosen by the secretary of the stable. Secretariat raced until he was 3 years old, per his contract. Most racehorses are itty bitty little children, runnin’ in their prime. He retired at age 3 with an acclaim that only 10 other horses can boast, winning the Triple Crown of Thoroughbred Racing in the United States. After his death in 1989, during a necropsy (a normal procedure for a deceased horse), the veterinarian described his heart as a “huge engine.” It was estimated to be 2 ¾ times the size of an average thoroughbred racehorse’s heart. He was put down humanely after being afflicted with an often incurable disease. Unlike most racehorses, whose head, hooves, and heart are buried together, Secretariat was buried whole, an honor befitting the Saint that he is. Should I really describe the races to you? Of course not. You should watch them, below, with very dramatic music included. The Run for the Roses is the first of the three races included in the Triple Crown. The stakes record for fastest time in the Kentucky Derby is 1:59 2⁄5 seconds, held by the one and only Secretariat. He was also the first horse to win the Kentucky Derby in under two minutes. Even more impressive, during the race, Secretariat ran each quarter mile faster than the previous one, meaning he was accelerating for the entire race. Have a mint julep and watch little three-year-old Secretariat make history for the first time. Secretariat won this race easily as well, of course. He was in last place for a while, but then has an almost supernatural burst of speed where he goes from last to first. His time, however, was contested. Although five different times were clocked, the track’s electronic timer malfunctioned. The fastest time recorded of Secretariat that day would have broken the track record, but the racetrack’s management settled on one of the longer times: 1:542⁄5 seconds. In 2012, Penny Chenery called together a special meeting of the Maryland Racing Commission to analyze the tapes of Secretariat’s race along with the previous record holder. The commission concluded that Secretariat indeed had the fastest time of 1:53, which still holds to this day. There was a lot riding on this race. The expectations of millions of people were that Secretariat would win, of course, but it had been twenty five years since the last Triple Crown was won. People had grown used to disappointment. This race is the longest of the three at one and a half miles. But on this scorching hot June day, Secretariat showed the world what he could do. Of his own volition, he started near the front, disposed of his rival, Sham, and then continued running, racing only himself, while his jockey, Ron Turcotte, held on. Spoiler: He wins by A LOT of distance. But see it for yourself.